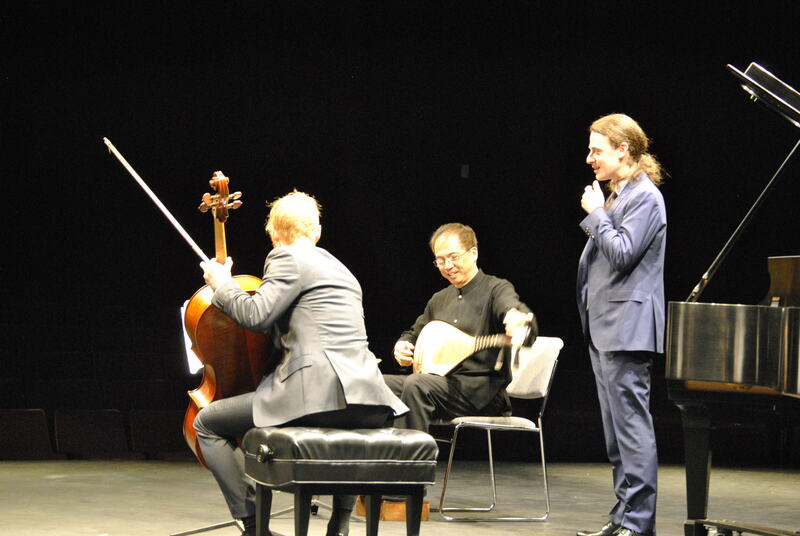 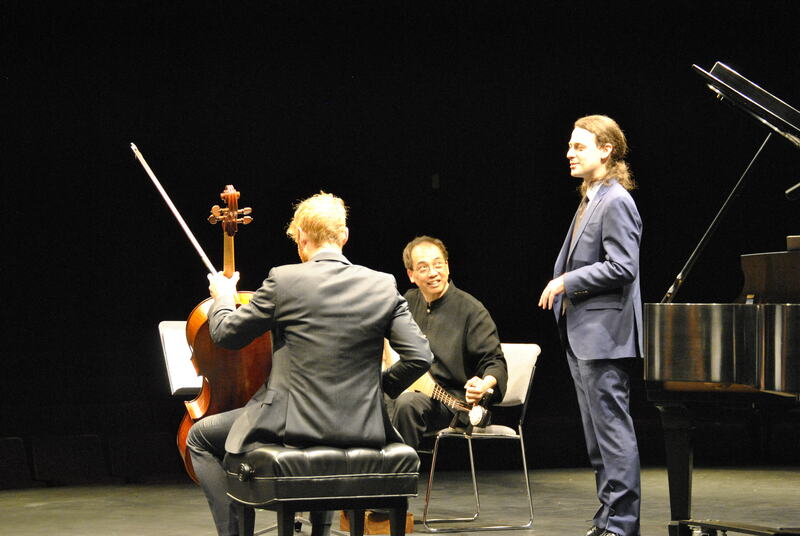 International Chinese musician Yang Wei performed March 26 at the “East Meets West” concert. 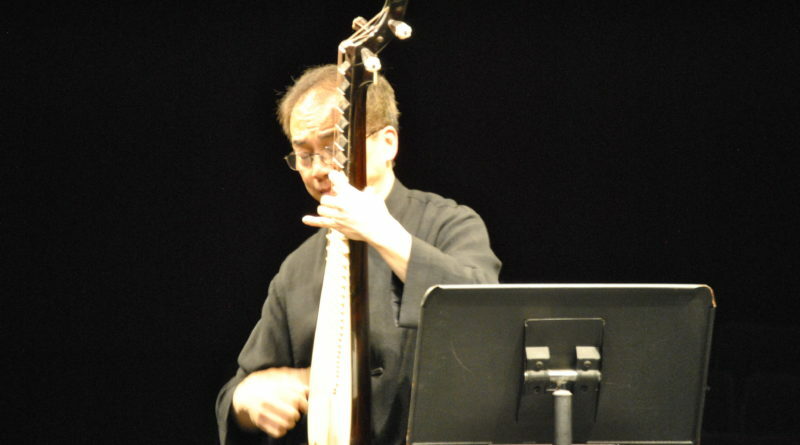 Here are several pictures from the performance, taken by our photographer Leonna Toodle. 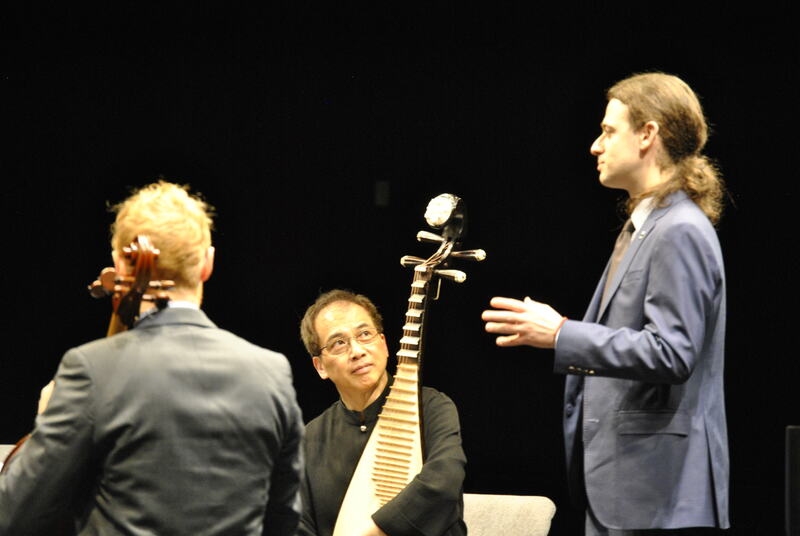 From to left to right for all pictures: Christopher Graham plays the cello, Wei plays the pipa, while George LePauw plays the piano, or giving a brief history of Beethoven.